Police say a Rhode Island man apparently overdosed in his vehicle with an 18-month-old child in the back seat. 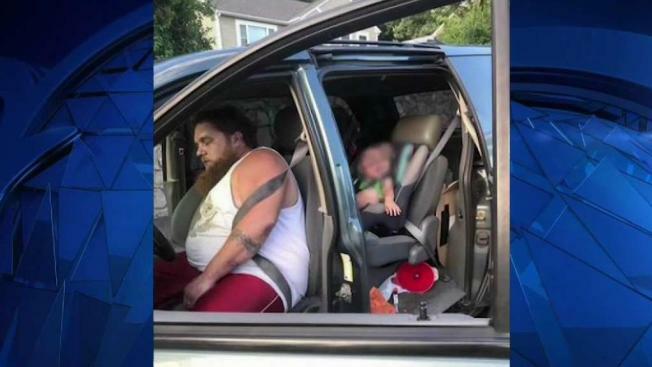 A Rhode Island man was arrested Friday after he apparently overdosed in his vehicle while he had a child with him, police said. Michael Krajczynski, 33, of Woonsocket was found overdosing in his car on the side of Victory Highway in North Smithfield, according to WJAR. He was charged with cruelty or neglect of a child after police found the approximately 18-month-old infant in the backseat. The mother took the child after the arrest. First responders revived the suspect with four doses of Narcan. Krajczynski reportedly told officers the following day that he took two white pills he believed were OxyContin. Shortly after consuming the pills, which were not prescribed to him, he reportedly said he felt strange and decided to pull the vehicle over. He is scheduled to appear at the Kent County District Court on Aug. 30. It's unclear if he has an attorney.